The Council of the European Southern Observatory (ESO) has elected Willy Benz, Professor at the University of Bern, as its next president. The Council, which is composed of the delegates from the ESO member states, is the organisation’s ruling body and makes strategic decisions on its behalf. PlanetS: What will your role as president of the ESO Council be? Willy Benz: As head of the ESO Council, I will be responsible for organising and chairing the meetings of the Council in a manner that allows reaching the necessary decisions. The operational management of the ESO is the responsibility of Director General Xavier Barcons. On the one hand, I see myself as a mediator between the member states and, on the other hand, an interface between the member states and the organisation. One could say that I am like the oil in the engine, which role is to bring everything to run smoothly. This will not always be easy, because each country works differently. Politics, administrative rules and culture are different everywhere, but in the end, decisions must be supported by everyone. That is why, for example, one has to think carefully about how early in the decision-making process a discussion should be started or which elements should be included in the discussion to ultimately allow reaching a decision in the Council. Fortunately, I have learned as a delegate that ESO Council is one of the international panels in which not only politics, money or national interests play a role, but also science. Scientific arguments are really heard and considered important elements in the decision process which really allows for constructive work. 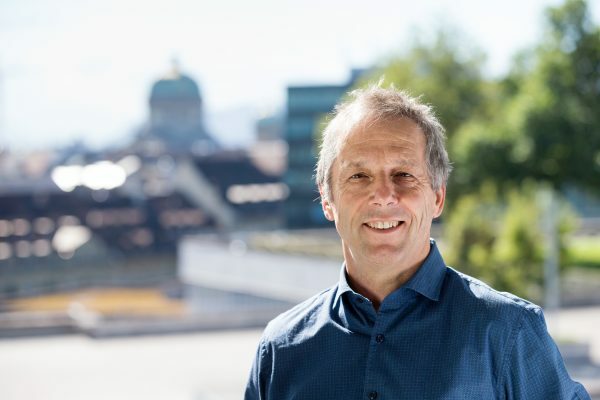 You are head of the CHEOPS mission, Director of the NCCR PlanetS and, as a Professor of Physics, you also hold lectures at the University of Bern. Your new appointment as the ESO Council President also involves an additional workload. What motivated you to take on this additional position? As a PhD student, I did observations at the Southern Observatory. Later, I was a member of two of the international panels that reviewed ESO and in between I was also for three years the Chairman of its Scientific and Technical Committee. Hence, I am very familiar with the organisation, I enjoy working with its staff and think that the observatory is amazing. After all, ESO is the world’s leading observatory. I believe that, thanks to my experience with CHEOPS, the NCCR PlanetS and as a former Director of the Physics Institute at the University of Bern, I can use my skills to contribute moving the Organisation ahead and even in helping finding a consensus in difficult cases. Last but not least, it is simply a dream for an astronomer to be able to participate actively in building the world’s largest telescope – the Extremely Large Telescope, ELT, with a mirror diameter of 39 meters. You will be elected President of the ESO council for a period of one year as of 1 January 2018, but may be re-elected twice. What important decisions will be made in the next few years? The biggest challenge will be to complete the ELT by 2024 as it is currently planned. The first stone was laid in Chile in May 2017. Decisions regarding, for example, who will build the dome and the main structure as well as who will produce the main mirror elements have already been made. However, many challenges still remain. Above all, financing has not yet been fully secured. In addition, the construction of such a large telescope involves many risks of a technological and organisational nature, which could quickly lead to significant additional costs. It will also be necessary to develop new instruments for the telescope. The Council must ensure that the appropriate resources are available. In addition to the member states who have already provided significant financial contributions, there may be opportunities to attract additional states or to devise new partnership models in which, for example, countries no yet members of ESO or institutes build an instrument for the ELT in exchange for observation time. Perhaps observation time on specific instruments could even be sold. 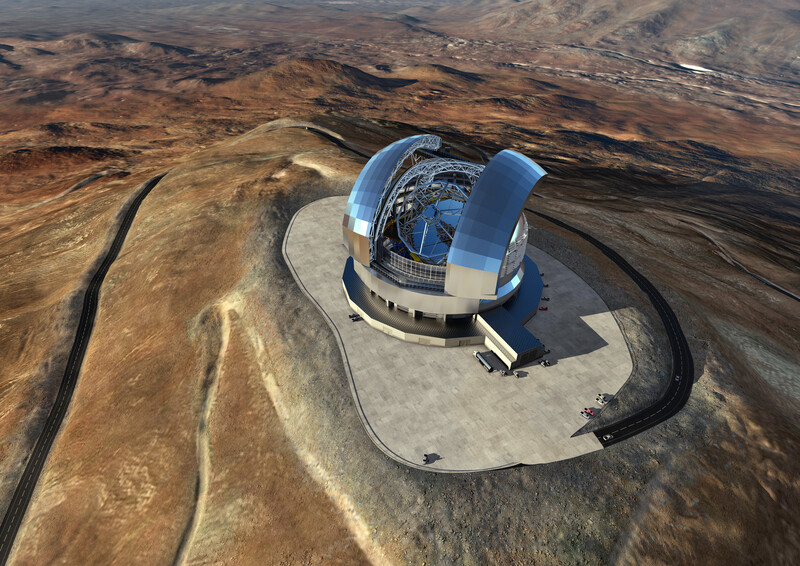 The construction of the new giant telescope will cost more than 1 billion euro. Is the project at risk because of financial problems? For Astronomy and for ESO the ELT is ‘too big to fail.’ Understandably, astronomers who have already heard about the scientific revolution that such an instrument will bring dont want to turn back. Nevertheless, the ELT being the largest earth-bound astronomy project ever undertaken, there are risks involved. Good project management can minimize these risks while building up sufficient financial reserves ensures that surprises do not endanger the project. In this context, it is also important to protect the rest of the organisation. The existing Very Large Telescope, VLT, is the world’s leading observatory. The ELT should not endanger this position, nor should all the best engineers and opticians turn their attention away from ongoing projects in favour of the ELT. This is the big challenge: you have to move forward with the construction of the new giant telescope and at the same time keep the existing facilities at their highest level. As President of the ESO Council, you must be neutral. However, Swiss researchers and industrial companies are involved in ESO projects. Are there any conflicts of interest? If a conflict should arise, I would temporarily take a step back and have the Vice-President take over. More difficult to notice is the situation in which others think there is a conflict of interest, but in reality there is none. These perceived conflicts of interests are nevertheless potentially very damaging and must be handled accordingly. Fortunately, as a smaller state, Switzerland is not as often affected by such conflicts than other larger countries. With all your responsibilities, you probably are not able to find much time to do your own research. Do you miss doing research? I’m still doing research, but in a different way. It’s true that today I don’t have time to do everything myself. However, I work with many doctoral students and postdocs with whom I engage in conversation and discuss scientific matters as often as possible. The experience that comes with age and the energy of youth is still a good cocktail! In addition, I also see my role today as someone who, with his experience and network, can help making projects possible. As a doctoral student and postdoc, I benefited from the engagement of senior astronomers; now it is my turn to help. For me, this is also a challenge but I am happy to be able to make a contribution.